Hana Financial Group has been working to implement the “humanity financing” project, the first project in 2018. Chairman Kim Jung-tai has been stressing that humans are more important than technology and knowledge in the age of the 4th Industrial Revolution. He wants people to take their personal lives more seriously than business. 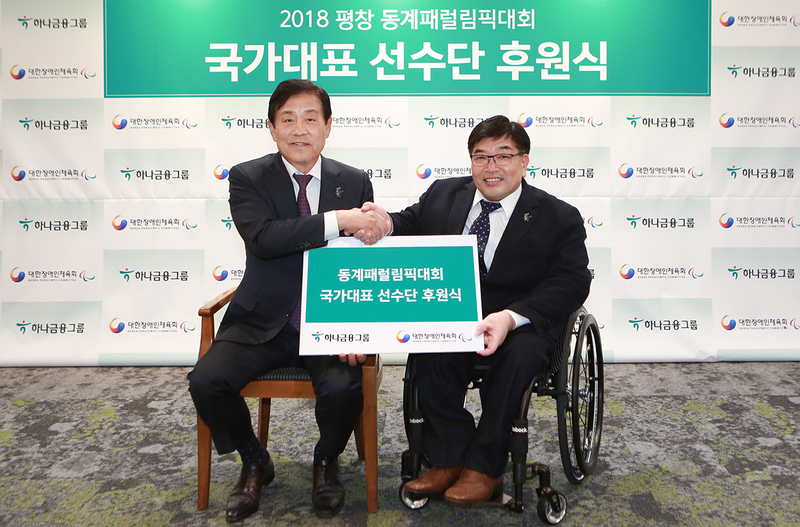 The group donated 1 billion won to the Korea Sports Association for the Disabled in a ceremony dedicated to supporting the national athletes participating in the 2018 PyeongChang Paralympics for the development of sports. “We are out to provide help to the development of the sports for the handicapped, which have been overlooked so far without reservations to change how the society looks at the handicapped people,” said Chairman Kim. The financial industry see the donation by Hana Financial Group as a way to change their corporate image. They want it to take deep root, too. 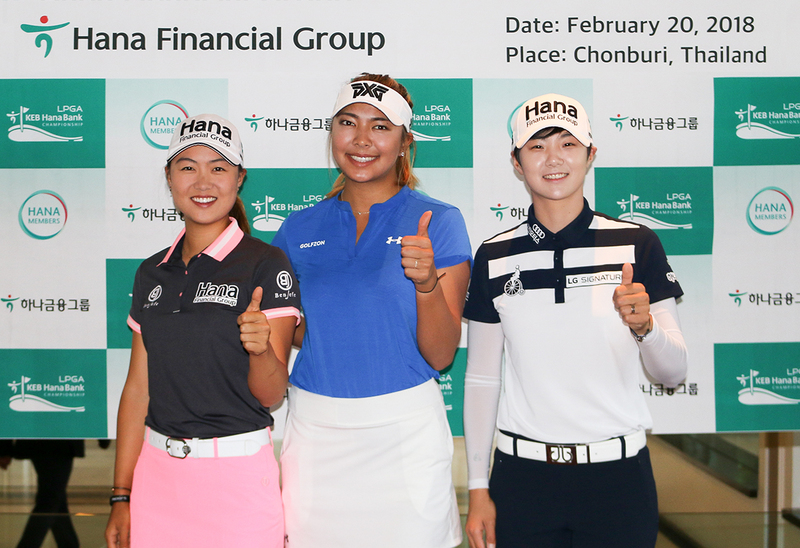 The financial group’s sports marketing has included support for golfers participating in the LPGA KEB Hana Bank Championship. The contract signed by Hana Financial Group with the Organizing Committee of the 2018 winter Olympics in PyeongChang as one of its corporate supporters has been lauded as a masterstroke to improving the group’s public image. The financial group has quantified it marketing results as worth about 1.4 trillion won of it was named an official corporate supporter for the winter sports extravaganza. KEB Hana Bank is handling all kinds of banking needs for foreign athletes participating in the global sports event, such as their deposit accounts and foreign exchange transactions, among others. An official of the group said it’s not possible measure all of the benefits in terms of won, as the publicity KEB got around the world has been enormous. Hana Financial Group offers ample opportunities for employees to realize their dreams, helps customers expand their assets and grow their businesses. Hana is building its presence as a financial institution that does its utmost to contribute to establishing a prosperous society and maximizing shareholder value. Hana dedicates itself to customer satisfaction and happiness through a comprehensive range of financial products and services for each stage of life, the company said. As part of these services, its premier financial service network leads the industry by creating synergy among its subsidiaries in banking, securities, credit cards, capital, and insurance. With the Korean financial industry's most extensive overseas network, Hana Financial Group is poised to become one of the world's leading financial groups. This position is the result of the consistent business growth the group has shown since its inception in 1971 as Korea Investment & Finance, followed by its conversion to a commercial bank in 1991 and financial holding company in 2005. The starting point of great success is always executing a vision. All members of Hana Financial Group have worked together, from the bottom to the top, in an effort to gather opinions on reestablishing the group’s mission, a new vision and core values for the next ten years, which will become the standard for all value judgments of HFG. “Based on its new vision and values and armed with our pride as a Hana family, Hana Financial Group will continue to work toward a better future,” the company said.